Professional precision straight tweezers with fine tip made of stainless steel. Put the little parts you want on its proper placement. With our tweezers you will get access to the deepest corners! 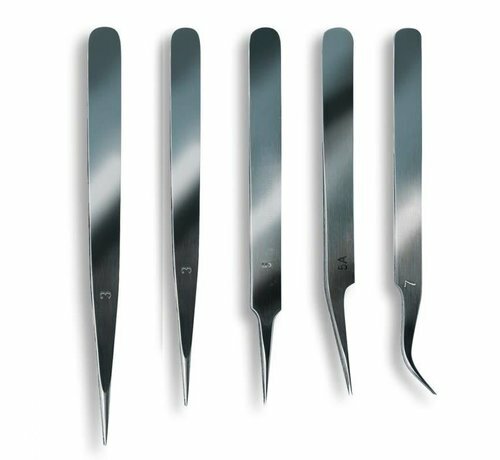 The set includes 4 straight tweezers of different length and termination and a curved tweezers for precision works on model building. 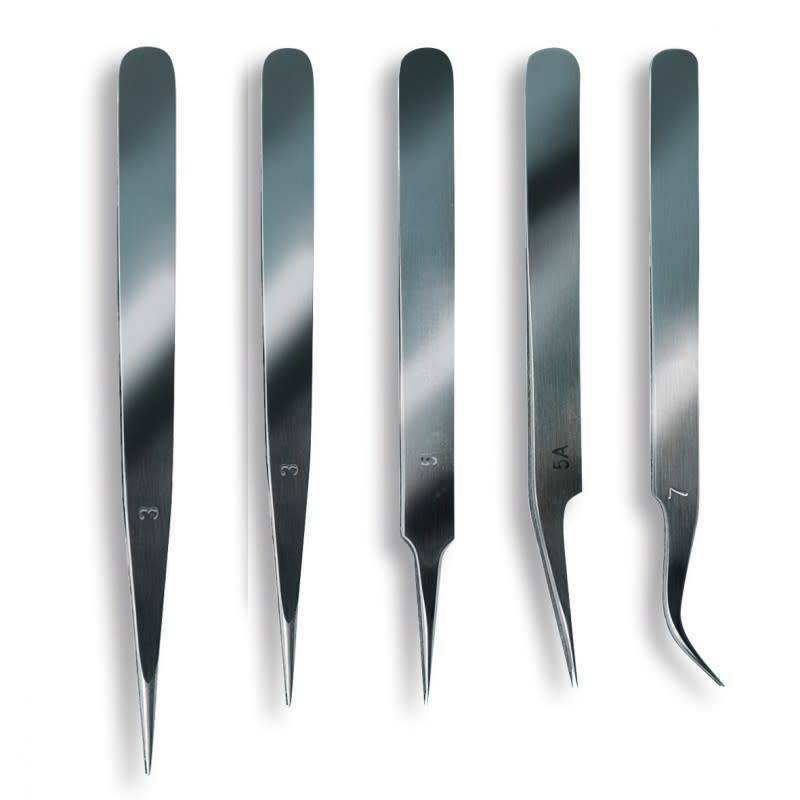 The perfect tools for your modeling toolbox.